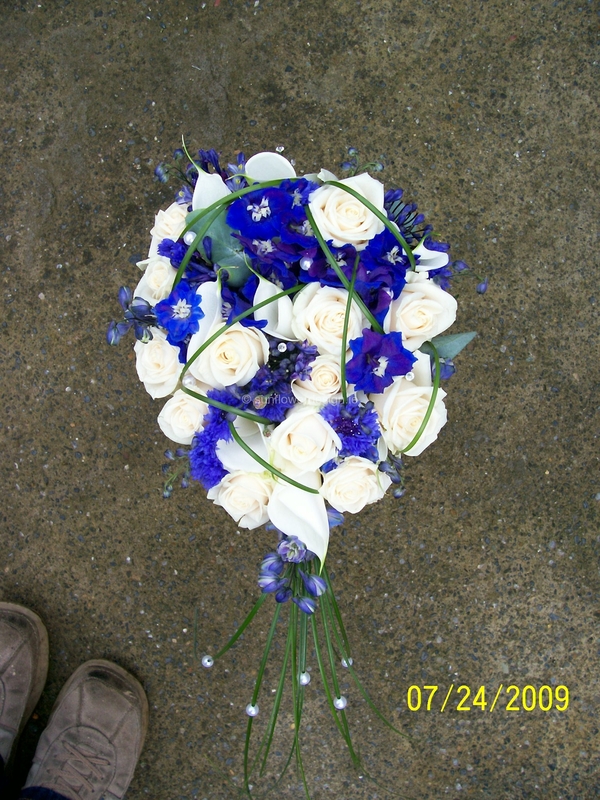 At Sunflower Design we offer a comprehensive Wedding Floristry Service. From your initial consultation through to the delivery and set up of your flowers on the day we aim to reduce any stress that can surround the planning process. We go the extra mile every step of the way to insure that your experience working with us is one you will enjoy. Evening and weekend consultations at no extra cost. We will discuss your budget, style, colours, theme and venue with you and go through an extensive portfolio of our own work as well as any ideas you have yourself and come up with a design that is right for you. Consultation can be held in your own home if requested. After your initial consultation you will receive a written quotation in the post. This quote is itemised so you have a clear understanding of the cost of each item and should you need to edit / change pieces to fit your budget we are happy to give you ideas and options as to how this can be achieved. Once you have received your quote and are happy to go ahead you can call/text/e-mail to confirm your booking and we will hold that date for you. Once you have confirmed you are welcome to submit a deposit. After that the payment schedule is up to you. Many couples pay in full the night before the wedding at our final meeting and this is our preferred method of payment but if you wish to pay in instalments in the months leading up to the wedding we are happy to discuss that with you. 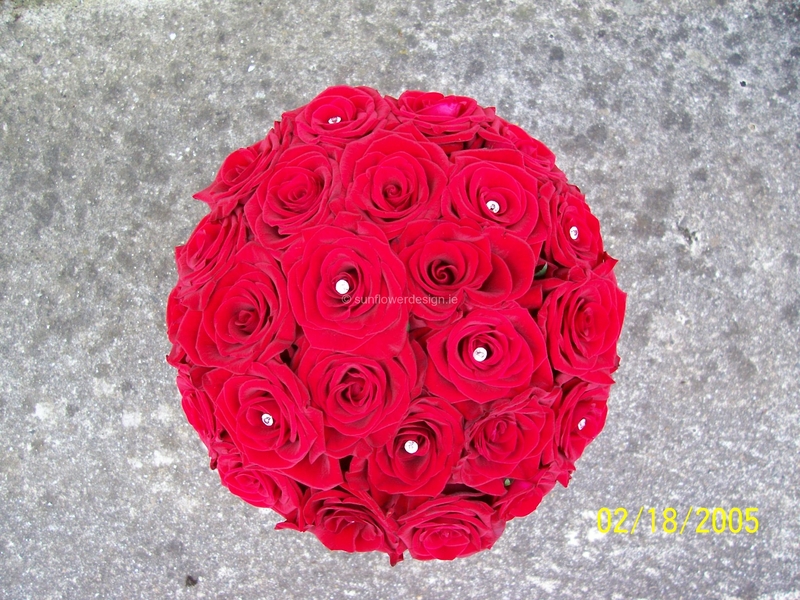 We organise a second meeting with you within a month of the wedding date to confirm all your arrangements and deliveries etc. 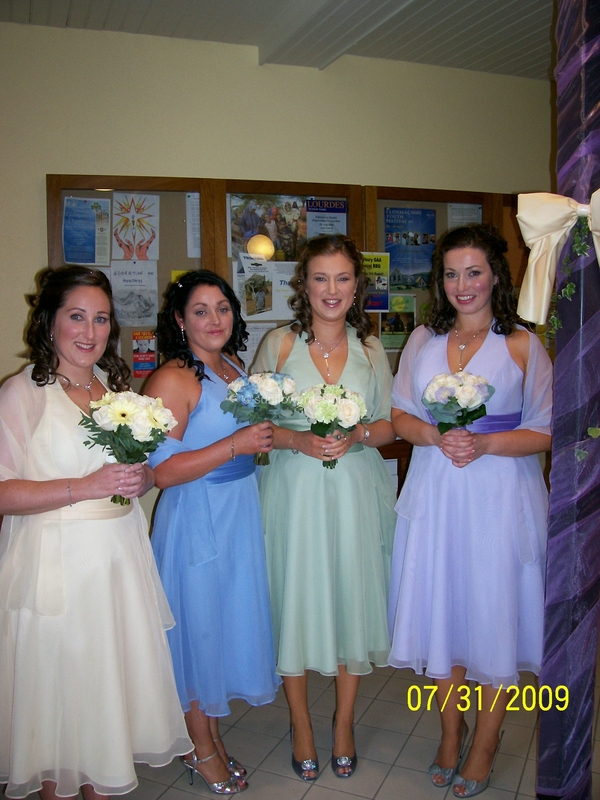 We also meet with you the day before the wedding to allow you to view your own bouquet and other key arrangements so that you can get an idea of how everything is going to look. 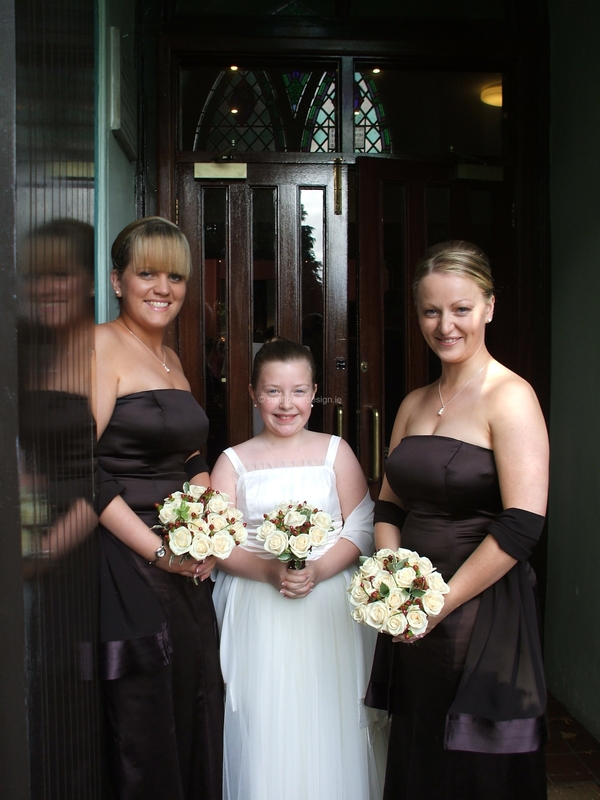 If there are any changes to be made we can do so and insure that everything is perfect for you on the day. We trust no-one with your Wedding Flowers! We do all of our own deliveries and set-up and don’t use couriers / taxis or delivery drivers with no floristry experience to transport your flowers. Should there be any problems with deliveries etc. on the morning of the wedding, the last person we would want to worry is the bride. Because of this we take an emergency contact number (usually a bridesmaid or groomsman) with whom we can sort out any problems. We simply don’t believe in them! In examining the idea of a package deal we have found that rather than offering better value, they tend to do the opposite – forcing the customer to buy items they don’t necessarily want and paying extra for items ‘outside the package’. We have found that it can also lead to an ‘assembly line’ approach to floristry which apart from meaning that many weddings end up looking the same, takes all the design and creativity (and therefore job satisfaction!) out of the process. We therefore decided that it was best from both our customers point of view and our own to see each wedding as a blank canvas and tailor our service to suit each clients individual needs. Using this approach you are paying for exactly what you want to buy and not what we want to sell! We take a common-sense approach and a supportive and helpful attitude to all our clients. For example if you are very busy the day before the wedding (and most people are!) and you are unable to come to the workshop to view your flowers, we can organise to come to you in the evening to show you your bouquets. 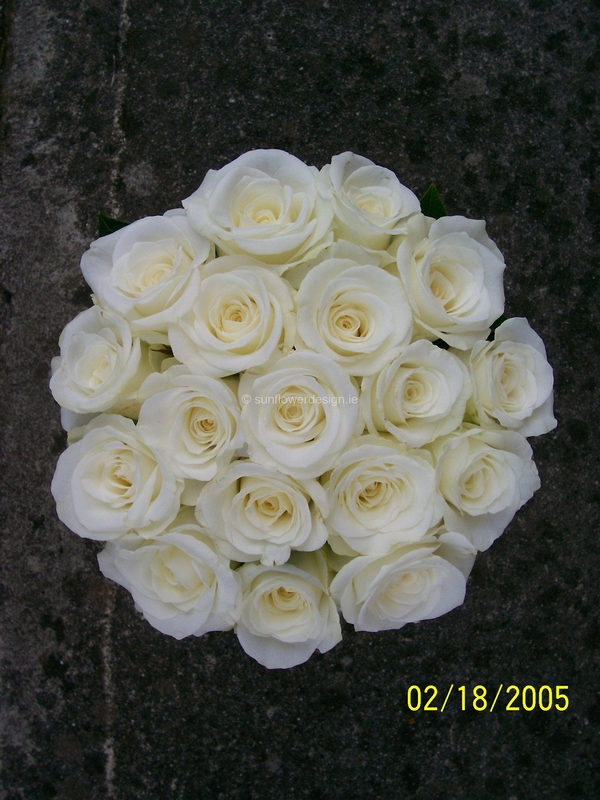 We can also send you a picture of your flowers so that you can be confident and relaxed about how they are going to look on the day. If you have Mass Booklets / Candles etc. that need to be brought to the venue/church, and we are going there anyway with flowers, you can give them to us and we will take care of it for you. We are genuinely happy to help in any way we can so if you are having a problem please don’t hesitate to ask – chances are one of our previous brides or a supplier we have met might be able to help.